Yet sales are up by 4000 percent. 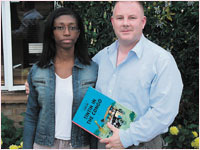 Father of two David Enright was so angry when he opened a copy of Tintin in the Congo and found depictions of African people as intellectually and socially inferior to white people that he complained to the store manager. He also complained to Herts police who logged the sale of the book as a racist incident. The bookshop was Borders in London Colney, St Albans and the head of risk management at Borders wrote to Mr Enright, a human rights lawyer in London, saying that they would continue to sell the book which has a warning sticker about its offensive contents on its wrapper. The book has now been removed from the children's section but is still for sale in the adult graphic section. Several other booksellers have taken the same steps and as a result of the negative publicity sales have risen by 4,000 per cent. Tintin in the Congo is at the top of the Amazon's comics and graphic novels section. The Tintin books were the work of Georges Prosper Remi better known by his pen name Hergé, who died in 1983. Herge admitted in a biography, Entretiens avec Herge, that in the book he was expressing the prejudiced views of the Belgian middle classes on Africans and said that if he were to write it again he would have done things differently. 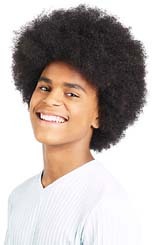 As the father of two mixed-race boys David is determined to ensure that the Tintin books are not sold to children. Tintin is Belgium's most famous export, with over 200 million copies of his adventures sold worldwide. In May Variety even reported that co-founder of DreamWorks Steven Spielberg and Peter Jackson were planning a Tintin trilogy, no doubt tempted by the $3 billion gross raked in by Jackson's Lord of the Rings movies. Could one angry British lawyer derail the reputation of the comic book hero? We sincerely hope so. Do you think Tintin in the Congo should be removed from bookshops?